Normally, the gage base would sit on a surface plate. Building an MPCNC on a big granite slab would certainly cut down on the shakes from overly enthusiastic acceleration settings! 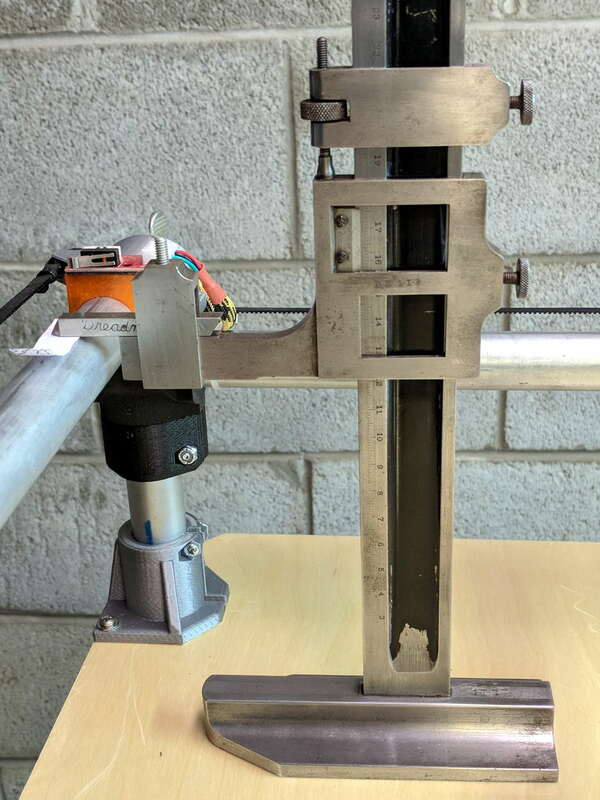 The nicely reshaped and polished lathe bit transfers the top surface of the gage arm to the top of the MPCNC rail, so whatever height shows up on the vernier gives the rail height. The exact value, of course, doesn’t really matter in this situation, but when you need an actual measurement, it’s got you covered. 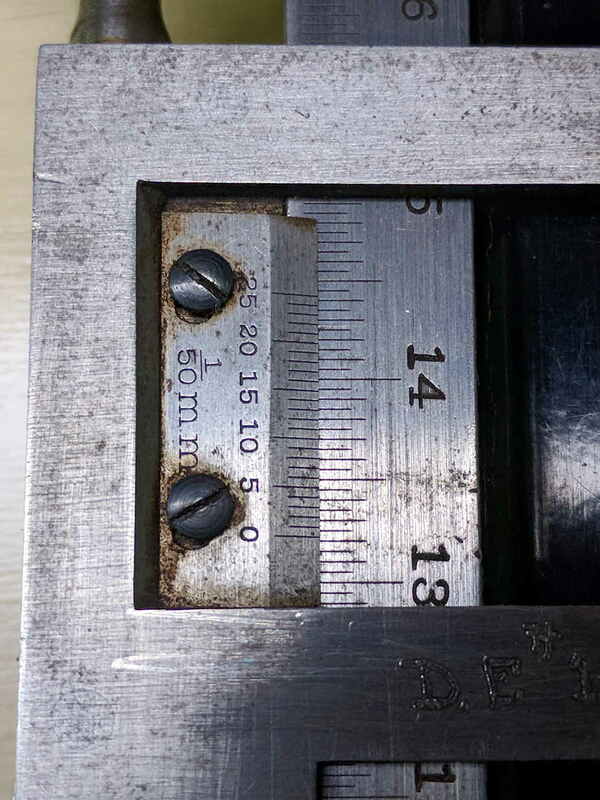 The two brackets slide along the height gage, with the thumbscrews on the right locking them in position. 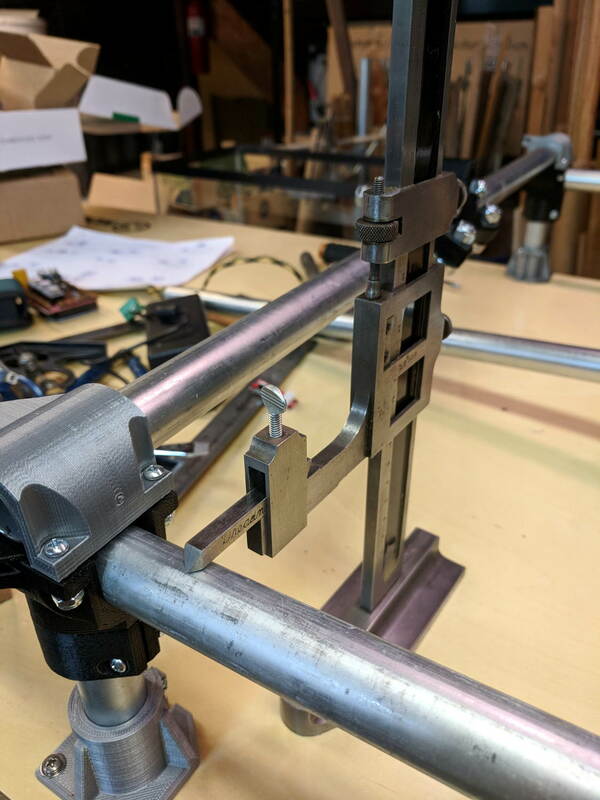 To measure a height, you loosen both thumbscrews, slide the whole affair to put the arm bracket at about the right height, tighten the top thumbscrew to anchor the adjusting bracket, twirl the knurled wheel to precisely position the arm bracket, then read the height from the scale. The other scale on the other side has inches, but nobody uses those any more. Right? There, now, that wasn’t so hard, was it? 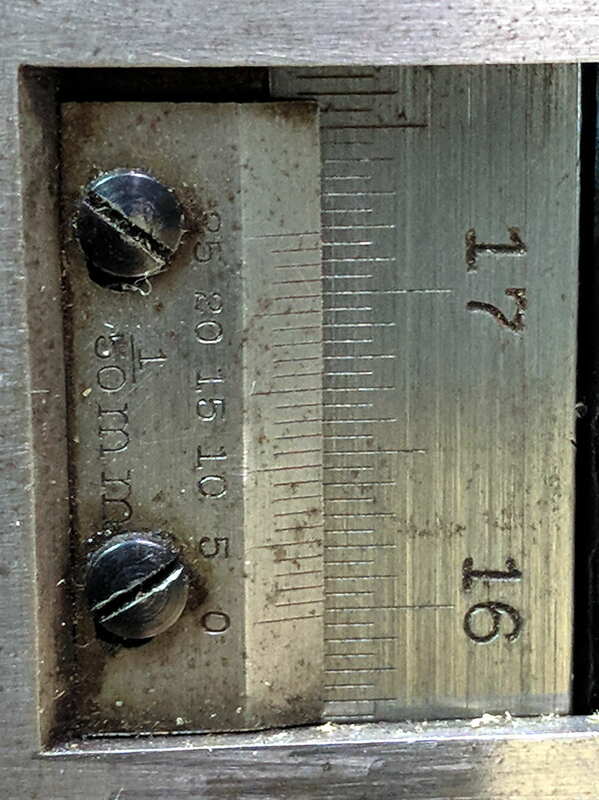 There’s obviously a parallax issue between the edge of the vernier scale and the main scale; it’s easier to get it right in person than in the photograph. 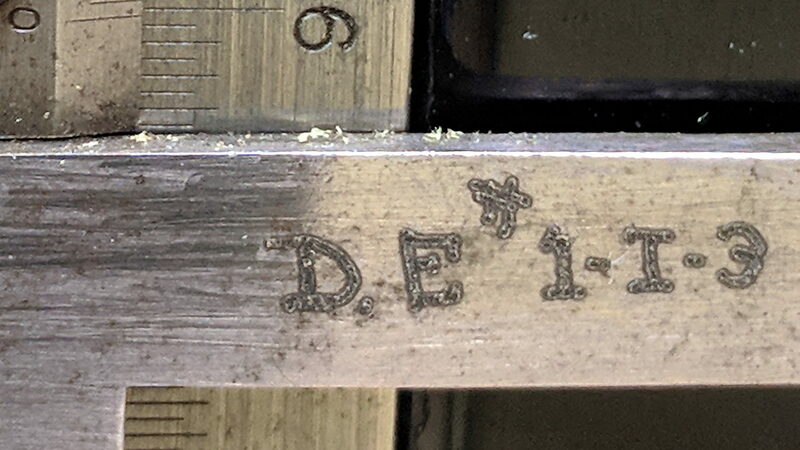 I pronounced the reading as “160 minus point 5 is 159 and a half plus point 34 is point 84”, but I also take eight photographs as I work my way around the MPCNC frame to review any suspicious results. Obviously, reading a digital height gage would be much easier & faster, but we don’t want to deskill the workforce, do we? We’ll never know the rest of the story. (*) When Starrett spells it “gage”, it’s good enough for me.